158pp, illust. (b&w). Minor edgewear, sl. paste action to eps, owner's name to ffep. D/w sl. sunned on spine. 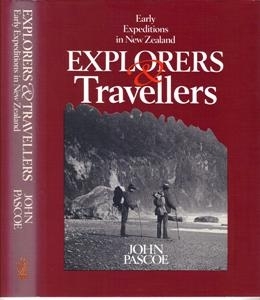 A chronicle of men and explorers, that tells of the hardships, hazards, triumphs, and rewards of those who, from the earliest days of European settlement in New Zealand, have sought to break in new land, chart its geography, study its wildlife and experience the exhilaration of discovery.